Collecting baseball memorabilia can be fun for all ages and for all income levels as well. What is great about baseball collectibles is that there are so many to choose from. Whether one is interested in collecting baseball cards or autographed jerseys, there is something for everyone to enjoy having in their possession. When it comes to baseball collectibles there are also many expensive rare items that one may never get to see or hear about in their lifetimes. The purpose of this article is to go over some of the most expensive baseball collectibles of all time to show you what they were, how much they went for, and so on. Who knows, maybe you may come across one of them in your lifetime! 1998 was a great year for baseball, as Sammy Sosa and Mark McGwire reignited the sport through their home run chase. 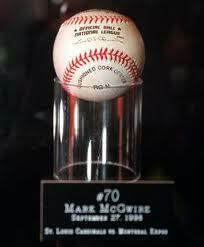 McGwire would ultimately beat out Sosa to the record, and his final home run ball of that season sold at auction for just over $3 million. Could you imagine ever spending $3 million on a baseball? It is truly a phenomenal amount for a baseball collectible, but there have been others that have fetched prices at or above $1 million. 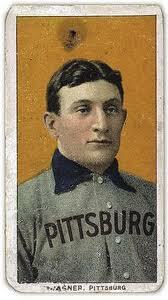 Honus Wagner is considered by many baseball historians to be the greatest shortstop to have ever played the sport. He has a career average of .327 and well over 3,000 hits, and was also known for his gold glove defensive abilities at the shortstop position. With that said, many of his cards have feted a pretty penny over the days, and one of the first baseball cards to have come out with his picture on it has sold at auction for over $2 million. Babe Ruth is considered by most baseball fans and historians as the most influential player to have ever played the game of baseball. He was more known for his power than anything else, with 714 career home runs, a feat only surpassed by Henry Aaron and Barry Bonds. He was also a very good pitcher before converting into an outfielder, winning almost one hundred games with an era under 2.30. Not a bad career, right? Practically any memorabilia related to Ruth is expensive, and his first ever game used bat has sold at auction for nearly $1.3 million. Shoeless Joe Jackson has one of the most recognizable names in all of baseball history, and was it not for the 1919 World Series he may have been the greatest hitter of all time. Jackson was supposedly involved in intentionally losing the World Series that year to the Cincinnati Reds, in which he along with other players were bribed by powerful gangsters and mafia members. Jackson had a career batting average of .356, one of the highest in baseball history. He was banned from baseball and never allowed in again, thus making his memorabilia that much more collectible. 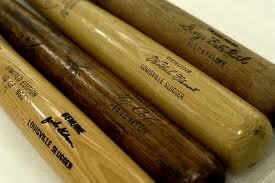 A game used bat of his went at auction recently for nearly $600,000. Not in Babe Ruth territory, but his memorabilia has been steadily rising in value over the years and should continue to keep going up.